I know everyone is very anxious to get on the fields and start playing, but we are fighting a battle with weather in Kentucky. The fields will have to be cancelled this weekend due to the weather and cold we have had this week as well as the the incoming storm. This is very hard decision and we do not make this decision lightly. There are a lot of hours that are put into making the decision. 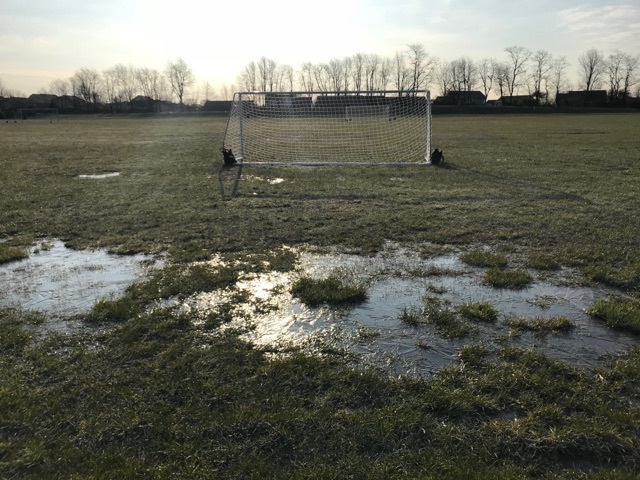 The decision this week came down to the fact that there are frozen puddles on the fields, the ground is still frozen and the 100% chance of rain or snow this weekend with temperatures at freezing levels. With any warming we have today, the grounds will start to thaw and become very wet and dangerous, then will turn around a freeze due to expected temperatures. I have attached some pictures of the fields so that you can see the current condition. Our plan at this time is to work with the groups and make up some of the local games during the week. We will be working on that in the coming weeks to get these games made up. Looking to the future we have been discussing pushing back the opening weekend closer April due to the complications of weather in March. I encourage any parent or coach to reach out to me with questions or concerns.